This time i want to talk about star trail photography and how you can start making some pretty unique images. When photographing star trails, your goal is to allow your camera to pick up light it wouldn’t normally either by using extra long exposures or stacking lots of smaller exposures. Working under the night sky means that the amount of available light is severely limited. Taking images of the sky and stars in general is very time consuming due to the exposure times and amount of images you need to use. Use a very secure tripod, anchor or weight the feet if you want to be 100% sure. If your camera supports it lock your mirror up to avoid movement. What settings can i start with? ISO: High, around 1600, 3200 if your camera is Full Frame and handles noise well. Shutter: 8-10 seconds depending on ambient light. 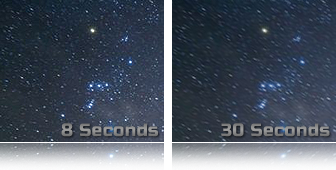 If you are using the “long exposure” method you should use Bulb and use your custom shutter time. The first thing to do is establish focus. Basically, point the camera at a bright star or anything that is far away but bright, and half-press the shutter until it locks focus. Once you are satisfied with the focus, carefully turn off the auto-focus feature (you will usually find this on the lens). Then you won’t have to worry about focus anymore. Just be careful not to change the focus by accidentally moving the focus ring or zoom ring on your lens. You could also set your lens to just before the Infinity (figure 8). The 2 main ways you can take a star trail exposure is with either a very long single exposure or with a series of exposures which are then “stacked” into a single image. This method is as the name suggests, a single exposure where the shutter is left open for a long period of time, we’re talking about 25+ minutes here although you should experiment with your exposure times as local ambient light and surrounds can make an impact. 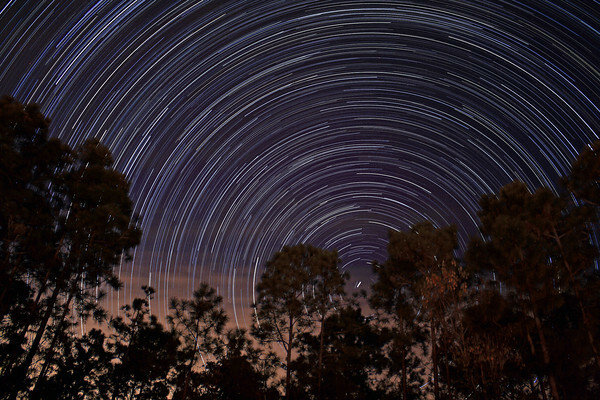 As the shutter is open, the earth will rotate in it’s normal fashion which leaves the trails of the stars in your final image. This type of exposure will only work in areas with very low light pollution from surrounding villages and cities, if the light pollution is too high you’ll end up with a washed out image and probably be very angry having waited 25+ minutes for the shot so test your shutter times before! Shot 1… Wait 8-10 seconds… Shot 2… Wait 8-10 seconds… and so on. I will let that carry on automatically while i have a cup of tea and a sit down i usually gather around 150-200 exposures which can take a half hour or so, all depends on your shutter time and chosen interval. Once you have your 150-200 images from your camera you want to “stack” them together. 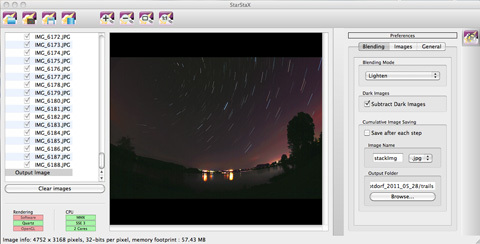 You will need a piece of software called StarStax which can be downloaded here. Once you have inserted all your images, press the Start processing button and watch the magic happen, this will automatically stack all your images into one final image. If you took your exposures correctly you should see the star trails appear. Once this is complete save your image and apply your usual post processing after. Might not give a “smooth” trail if you left too much interval between shots. As you may have noticed, several of the example images used here have a circular pattern around a more central location these are the poles! If you’re an astronomy beginner like me, this may seem a bit daunting – not to worry though. If you’re shooting towards the north pole, Polaris (a.k.a. 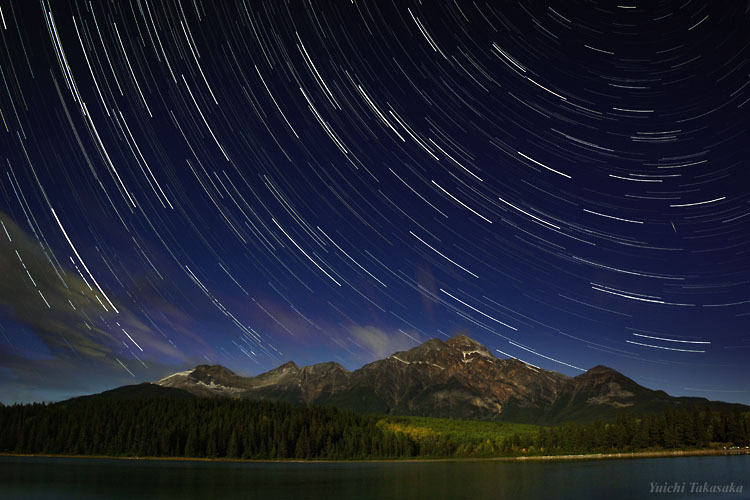 the North Star) is what you’re aiming for, your star trails will circle the north star. There is a great app for your smartphone which can help you identify where the stars are, it’s called Planet’s and is available here. So there you go, i hope you enjoyed this tutorial and i look forward to seeing some of the images you create using the information here, feel free to experiment as my settings are only intended to get you going. Feel free to share this tutorial and contact me if theres anything else you’d like to see on Urbanpixels.